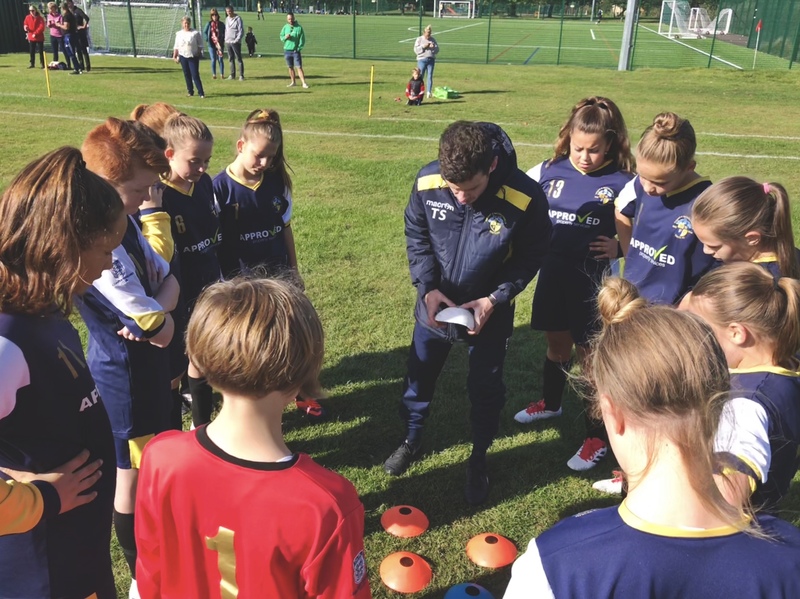 You would never begin a book in the middle, make sure to check the hyperlink to read part one of our story of how Thom and I set up Havant & Waterlooville under 13 girls. Since we last spoke we have lost a player (Codie) and gained a player (Ellie B). What is nice is that Ellie had already played with some of the girls for a previous team so she has settled in quickly. The team as a whole seem to have bonded superbly, watching from the outside you wouldn’t know that many were strangers before they joined us. The Hampshire Girls Youth Football League that we participate in have scheduled one fixture against each team and when these are completed the leagues will be reorganised based on these results. We began our season with two defeats to Gosport FC and Eastleigh Girls Blue. The pair finished up first and second in the league so there was no disgrace in losing those games. Collectively and individually there have been plenty of positives to take from each game. We then had two games in two weeks against Whiteley Wanderers. Both matches were incredibly entertaining and close contests but Whiteley came out victors. In the first game, a half time score of 4-0 to us wouldn’t have been an unfair reflection of the balance of play. We took the lead that day but due to inexperience and naivety going forward we missed good chances and then got caught with a sucker punch and went into half time 1-1. We eventually lost the match 4-1. 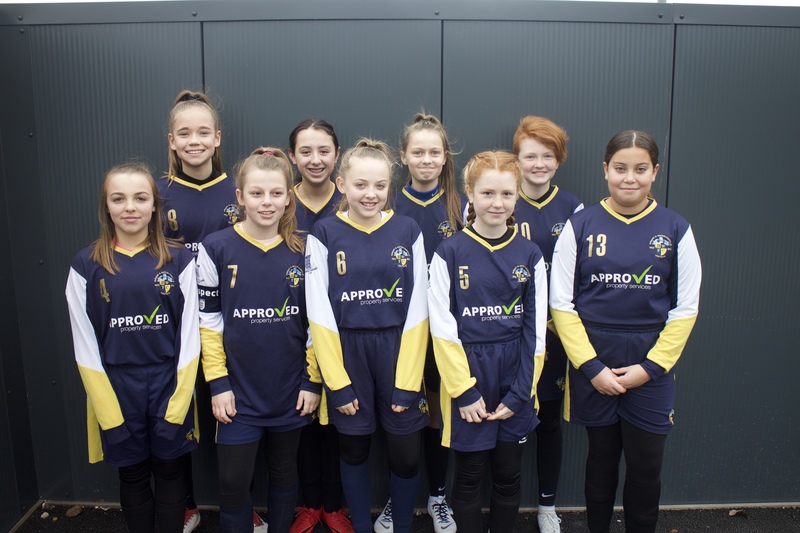 Thom and I have always been incredibly positive with the girls and rightly so, many of the girls had never played for a team before and they were having to learn a lot in a short space of time to catch up with the standard of play from the opposition. While we have created an environment where the girls can learn we also questioned as to whether we could be more honest and constructive with the girls. They are at an age where they will need to take on board all feedback, positive and negative. They agreed that this will help their development as players. In the following match against Oakley Youth conceded three goals in ten minutes, all could have been avoided had our forwards and midfielders worked harder to track back and not left our defence overrun. We substituted two players at that point and asked them why they were brought off. They admitted that they weren’t running and had been lazy. It was nice that they were self-aware and when they came back onto the pitch at half-time they put in a much-improved performance. Sadly by half-time, we were already 6-0 down. We explained to the girls that we genuinely don’t mind if we lose games as long as we make sure that if anyone takes points from us then they have to work hard in order to do so. They agreed and the second half we were a different side, we were much more competitive. The final score was 8-0 to but considering the first half performance, we came away from the second half with enough positives to go home proud of the girls. Back in November, we were fortunate enough to welcome Sadie Blakeley and Emma Alexandre from Chichester City Ladies who ran a special training session for the girls. Our girls are so enthusiastic and a bunch of chatterboxes but the ladies had their full attention, they’ve never listened so attentively to me and Thom! In training and our other games running up to Christmas we continued to see improvements on a weekly basis. That first win remains elusive and the girls don’t half deserve it but I cannot fault their effort and application. It is reassuring to receive positive feedback from the player’s families. They have been supporting us each week and are noticing big improvements each week and importantly are enjoying the games. The new league structure beginning in January we will be competing with Ringwood Town, Worthys, Southampton Saints Girls, Verwood, Pace Wildcats and Chamberlayne Athletic. I can honestly say that I have been really enjoying my first six months with the club and I’m really excited to see the girls continue to grow and improve. If you don’t want to wait until chapter two to see how we get on in our next fixture then you can follow us on Twitter at @HavantGirlsFC.